JOHNSTOWN, PA -- With the setting of the sun and the celebration of Forgiveness Vespers this evening, the season of The Great Fast has been ushered in throughout our God-Saved Diocese and the entire Orthodox Church. This Holy Season, as His Eminence, Metropolitan Gregory has reminded us in his Lenten Archpastoral Letter, is a time for increased "... self-examination, reflection and confession.... Great Lent is not just about what we eat, but more importantly how we live." As we begin Holy and Great Lent on March 11th I wanted to share with you a few thoughts so that we may journey through the season and arrive safely at the Great Feast of Feasts, Holy Pascha with the proper frame of mind. 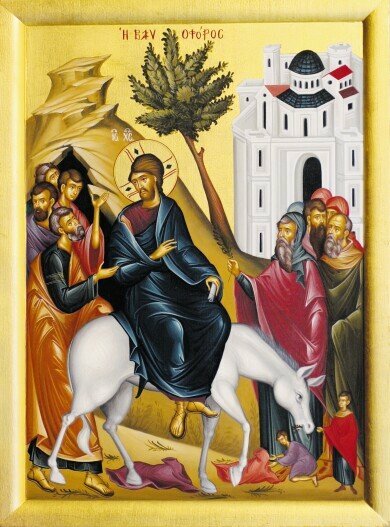 Great Lent is a period of increased activity for the active Orthodox Christian. Our prayer, fasting, and almsgiving must increase. Attendance at Church services (of which there are many) and spiritual reading must increase. We must increase our self-examination, reflection and confession. Great Lent is also a period of decreased activity for the active Orthodox Christian. We should show restraint in our normal “outside of Lent” lifestyle. We should reduce our watching of television, listening to the radio, surfing the internet, going to concerts and movies. Great Lent is not just about what we eat, but more importantly how we live.